Few things create stress, result in anxiety, and hinder life-satisfaction as much as broken relationships. In most situations, whenever we consider “broken relationships” we think in the context of dating or marriage. Yet broken friendships can have an equally negative impact on our emotional well-being. Yet I see it on a regular basis. People change churches and I find out it is over a disagreement with an old friend. Former golf partners get different tee times all because of some grudge. Siblings refuse to speak to one another because of a tension which they have chosen not to resolve. While not every relationship can be mended, most can. Broken friendships are much easier to heal than romantic relationships, but healing requires courage, honesty, and a willingness to forgive and be forgiven. Sadly, it is easier to run. Most people would rather let the relationship remain broken than take the small steps necessary to put the friendship back together. It’s easier in the short-term to let a friendship slip away, but it is far more rewarding in the long-term to do the work necessary to make the relationship right. One of the most dramatic ways a person can change their life is by consistently doing what other people refuse to do. If you have a friendship which is broken, you should initiate contact to mend it. Whether you are the guilty party or the innocent one, you should shoulder the burden of initation because taking a step toward another person is always worth the risk. 2. Put the disagreement in context. 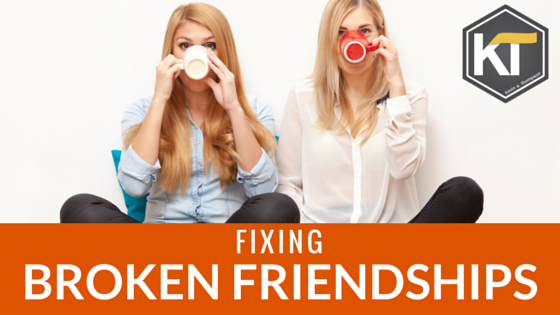 Mending a broken friendship does not require that we minimize differences. Many relationships are broken because two people are not willing to admit differences of opinions. Expecting that friends have to agree on every issue is an effective way to limit the number of meaningful relationships in one’s life. I don’t agree with myself half the time, how could I ever expect my friends to always agree with me. While context is important, a common ground still must be found. Married couples are always surprised to hear that most disagreements in marriage can’t be solved. A workable solution can be found, but spouses will not be of the same mind on most issues. Because of differing backgrounds, mindsets, experiences, and opinions, differing opinions should be expected. The same is true in friendship. A workable resolution means different things in different situations. On most occasions, simply understanding the other person’s point or perspective is enough to heal the friendship. Knowing why a person believes something or acted in a certain way brings clarity. In other scenarios the friends might agree to disagree. In a few cases, for the sake of the friendship, two people might agree to not bring up certain topics. 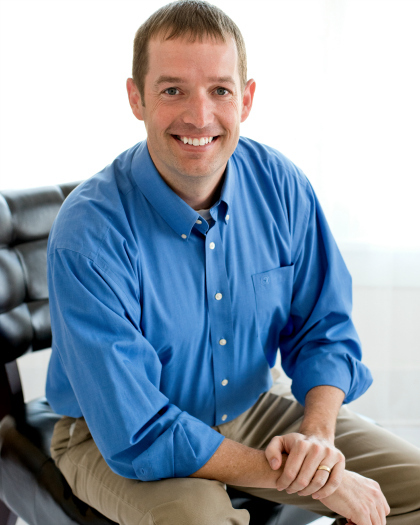 The important aspect of finding a workable solution is that both parties are on board. They feel heard, understood, and agree in what is the best way to handle the issue. A broken relationship may not be your fault, but if it remains broken it likely is your responsibility. In most situations, you have the ability to mend a broken friendship. If you are willing to initiate the process, put things in context, find a resolution, and move forward, your relationships will be improve and so will your life. How do you know when to fix it, though? You have another post about friendships simply dying out. @kathryn , good question , would like to know too …would really appreciate if kevin can help to explain a bit more on this .. Tx! I’m sorry, I thought I replied to this. For me, the biggest question is “Have I done everything in my power to make the relationship peaceful?” I don’t have to be best friends with everyone. Some friendships do come and go because seasons change. But I should be careful about dropping friendships just because I’m afraid of a tough conversation. I’m a fan of your articles. I’ve just experienced a breakup 7 months ago from a serious relationship lasted for 3 and a half years. Our relationship had 7 out of 10 good signs of a healthy marriage as in your article, I believe it was a good relationship, but it started to change ever since he moved to another city a year ago. Now he’s been dating another girl for over 3 months. Is it possible if I try to get him back? I’ve wrote him a letter, but it was after they’ve been together(I just found out). I didn’t do anything but the letter and improving myself ever since we broke up. But the new girl is also great in many ways. He’s very important to me, almost like a family. That’s why I’m still wonder. I would like to hear about your valuable opinion! Thank you for your articles! I appreciate them a lot. In my opinion, he’s got to choose–her or you. Sadly, it’s his choice, but hold him accountable to what he chooses. If he is dating someone else, I would stop contact with him and move on. Thank you! I appreciate your honest opinion. We’ve been stop contacting with each other ever since we broke up. There are many misunderstanding in the last conversation. What if I clarify and then let him choose? Would that be necessary?